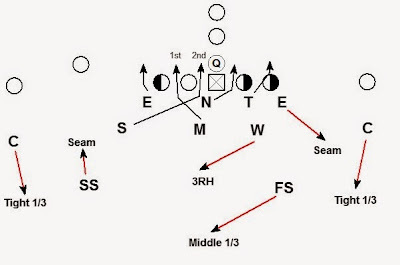 The same blitz can easily be run with man coverage. 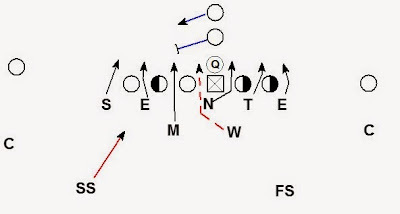 The crossfire action of the Mike and Sam can create confusion for the offense’s blocking schemes. 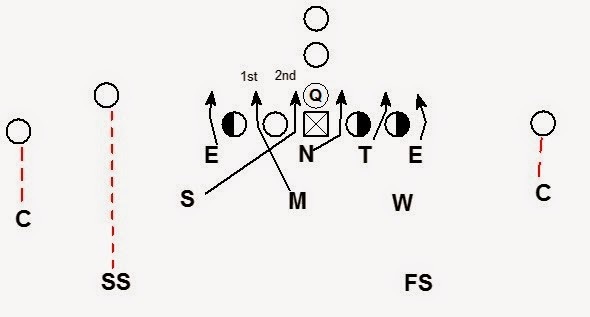 The issue for this blitz is what to do when the offense has a three man surface. The defense runs the risk of being badly out leveraged on outside zone, pin & pull, or other perimeter run schemes. 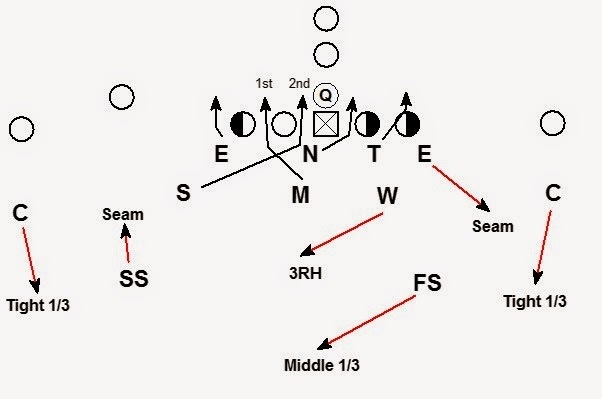 If the offense aligns with a TE or H back to create a three man surface the Sam adjusts. The Sam aligns in the normal under front 9 technique. 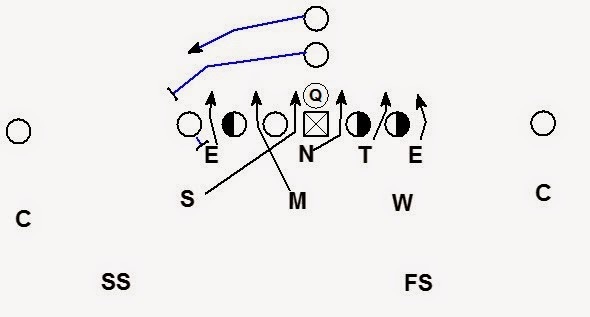 Against the run the Sam blitzes outside and contains. The Will can easily play to the A gap on any flow to the TE. 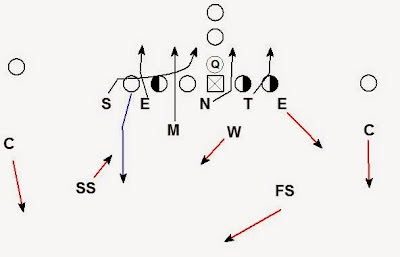 Against the pass the blitz returns to the normal crossfire pattern. The Sam blitzes under the End and Mike to the A gap. 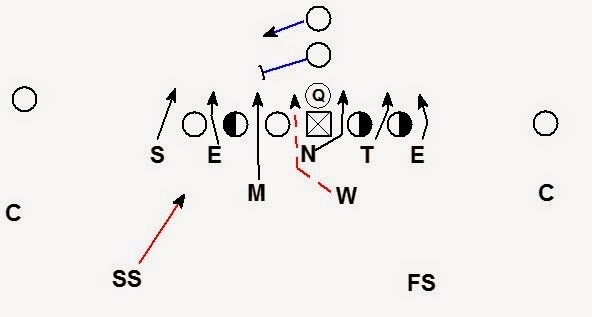 With a simple adjustment by the Sam the blitz can remain sound vs. the run and create the crossfire action vs. the pass. FAQ - What is America's Blitz?